We’ll be in Booth 2421 at MD&M West – join us! Interested in cutting-edge technologies and in-depth industry expertise? 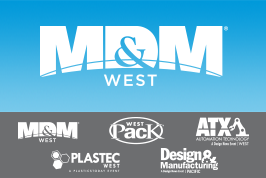 Join us Feb. 5-7 in Booth 2421 at the MD&M West show in Anaheim, CA. This year’s focus for North America’s largest medtech event will be 3D printing and smart manufacturing.